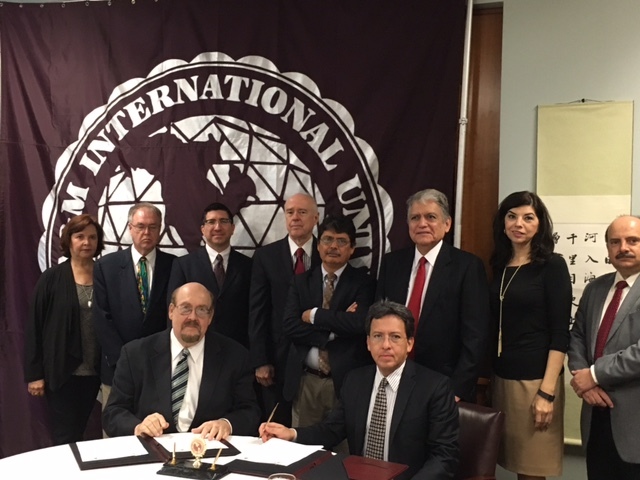 Texas A&M International University (TAMIU) signed a Memorandum of Agreement with the Instituto Mexicano del Petróleo (IMP). 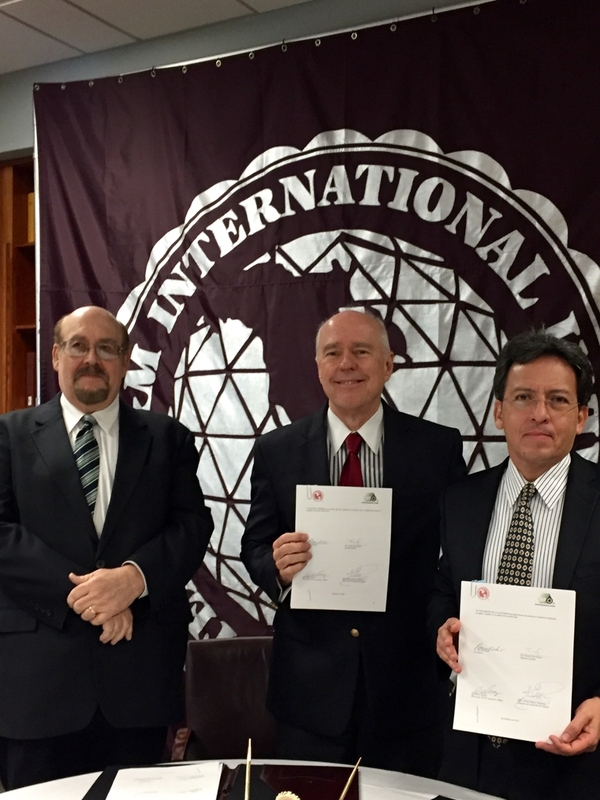 Representing the Director of the IMP, Dr. Ernesto Rios Patrón, was Mr. Rafael Ramos Palmeros, Director of Talent Development. 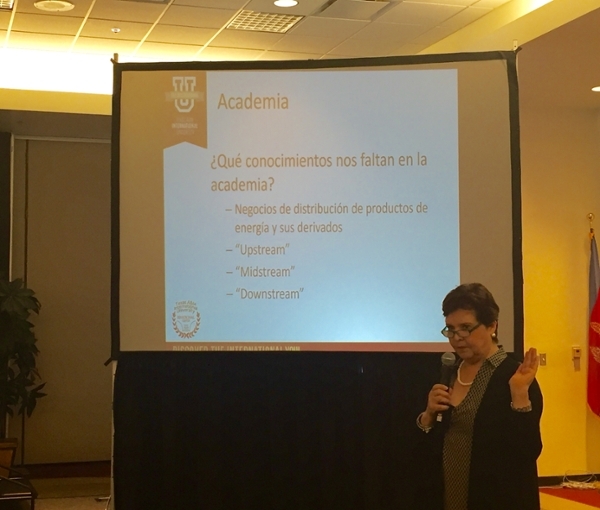 May 24, 2016- "La Reforma Eléctrica de México: Las Nuevas Reglas del Juego"
The Office of Global Initiatives and the Binational Center hosted the conference titled: "La Reforma Eléctrica de México: Las Nuevas Reglas del Juego". Presenting were experts: Mr. Javier Zenteno Barrios, Attorney from Mexico City, representing Zenteno-Lira Mora Abogados; Mr. Jorge Echániz Pellicer, Director of the Electric Industry, of the Secretariat of Energy of Mexico; and Dr. René Ochoa Ochoa, Vice President of Operations of Enerlogix-Solutions. 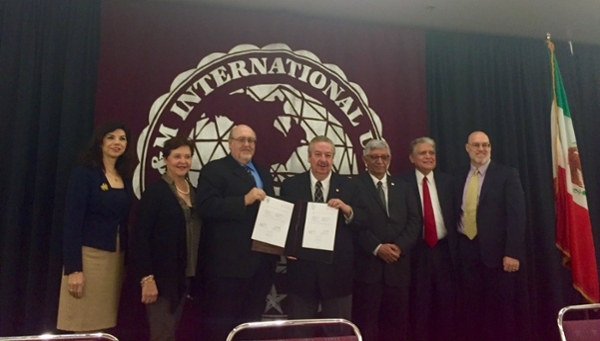 Texas A&M International University (TAMIU) signed a Memorandum of Agreement with the Universidad Autónoma de Tamaulipas (UAT). 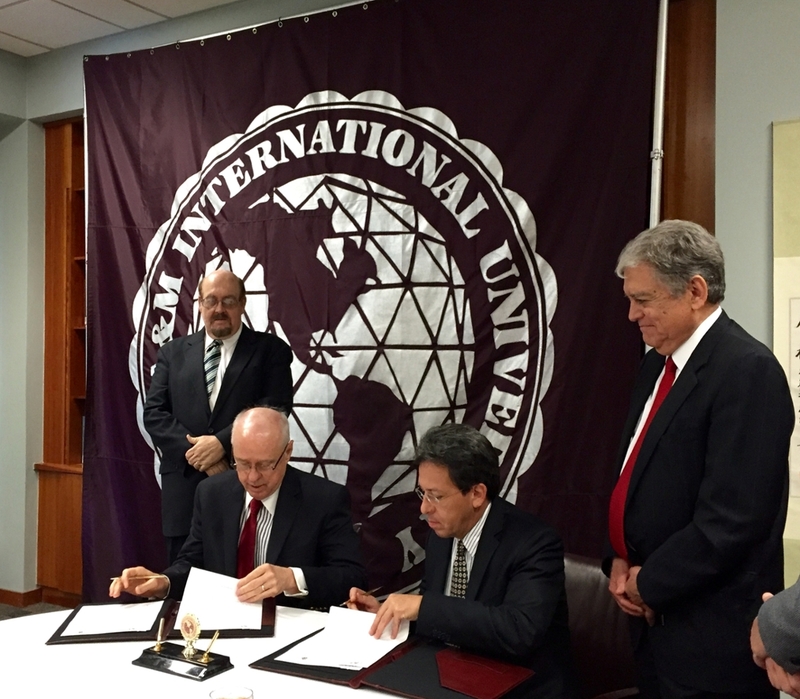 The agreement was signed by Dr. Pablo Arenaz, Interim President of TAMIU and C.P. Enrique Etienne Pérez del Río, Rector of the UAT. 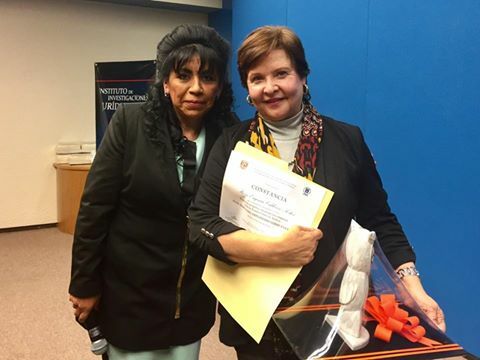 The MOA was signed during the opening ceremony of the II International Academic Forum on Energy and Society. 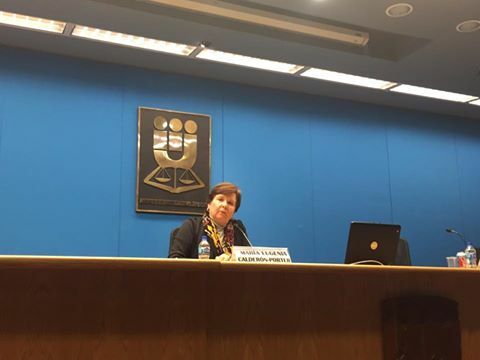 Assistant Vice President of Global Initiatives of TAMIU, Maria Eugenia Calderon-Porter spoke to a group of professionals at the Instituto de Investigaciones Jurídicas (IIJ) of the Universidad Nacional Autónoma de Mexico (UNAM), in Mexico City. 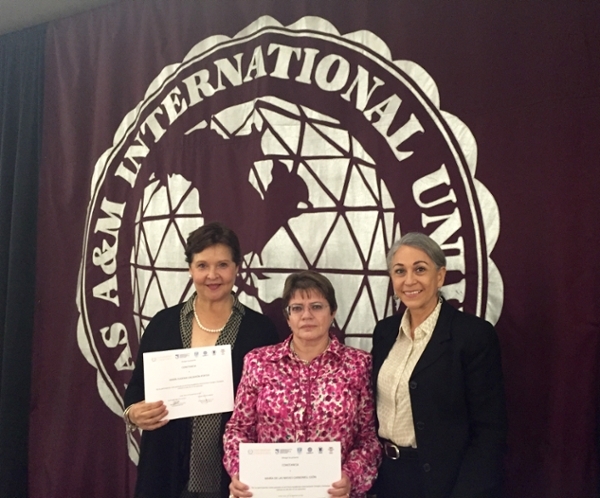 The presentation was part of a certificate on energy being offered by the IIJ.